Join the Greater New York Chapter at Ainsworth Park (111 East 18th Street) for the 2015 A-Day Game! 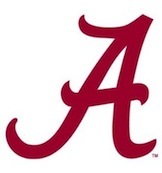 Alabama alumni, friends, and fans in the area are congregating to watch as the Crimson takes on the White in Tuscaloosa. Highlights of the game will be broadcast live along with other games as part of the SEC Network's celebration of spring. The Ainsworth Park will have the broadcast on with sound in a section reserved for UANYC with drink and food specials. Come see the future Tide stars as Alabama football hits the road to No. 16!